Cherry blossom around here are blooming just now! 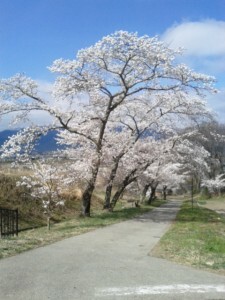 You can get chance of “Hanami” (blossom watching) though if you missed it in Tokyo! Maybe this weekend is final chance to watch it. I am waiting for your coming!